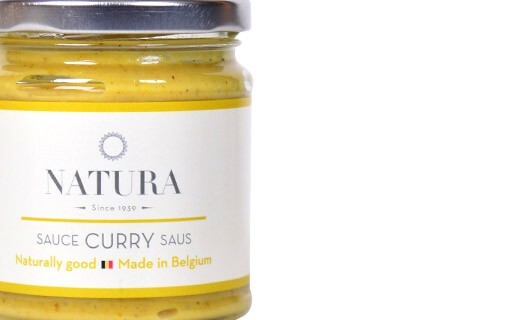 Curry Sauce Natura is subtly enhanced by the curry and a mango chutney. It is delicious with fish or poultry. 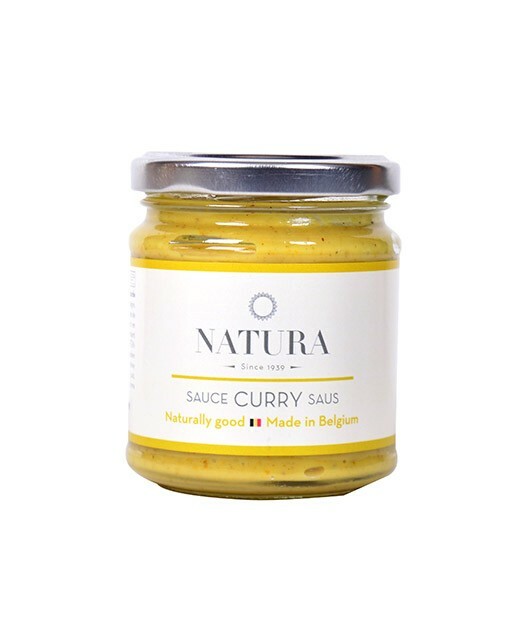 Sunflower oil, egg yolks, water, mustard (vinegar, water, mustard seeds (25%), salt, spices), vinegar, curry powder (2%), mango chutney (sugar, sliced mango 46%, sugar cane vinegar, salt, chili powder, ginger, garlic), salt, sugar, natural flavor of curry (contains celery and nuts). Natura debut took place in 1939 in the fish shop of Philippe Vryghem which sells its own mayonnaise to accompany its fish. They are victims of their success a few years later, to the point that our fishmonger decided to devote his time to developing its mayonnaise only. The family business offers exclusively products made with natural ingredients.